In celebration of Illinois’ bicentennial, Jon McGinty dives into the complex history of “The Prairie State.” Discover how Illinois became central to the U.S. in terms of economy, culture and politics, and learn how you can join in on the celebrations happening through this year. 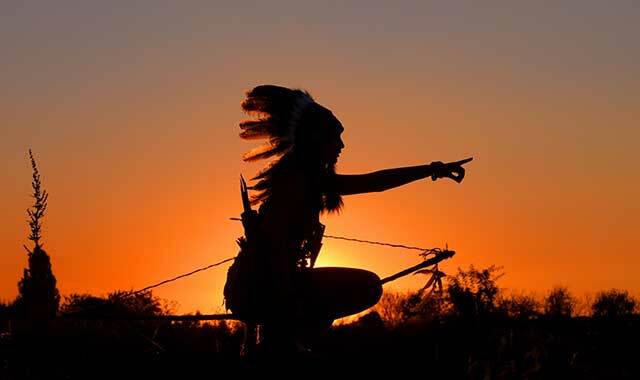 From 500 BC to 900 AD, woodland Indians developed agriculture. Illinois entered the Union on Dec. 3, 1818, as the 21st American state, after experiencing a long, tortured history of contested claims for ownership and control. The first inhabitants were nomadic Paleo-Indians who witnessed the retreating glaciers about 12,000 years ago, as they hunted mastodons, wooly mammoths and saber-toothed tigers. Their descendants, the Archaic Indians, built early villages and cultivated seed crops. They were followed by the Woodland Culture, which lasted until approximately 800 AD. The Mississippians appeared around 500 AD, developing complex urban areas and following a tradition of mound-building. In the early 1500s, a confederation of Indian tribes called the Illiniwek moved from Michigan to Illinois. Early French explorers used their name to describe a river and, eventually the whole area, as “Illinois.” By 1671, France claimed the Illinois country as part of its colony of New France. French explorers Father Jacques Joliet and Louis Marquette traversed the region on their way back to Canada in 1673. From the Mississippi River, they followed the Illinois River to the Des Plaines River. They crossed the St. Lawrence divide at the Chicago portage to enter the Chicago River and eventually Lake Michigan. A national historic site commemorates this event at Portage Woods Forest Preserve in Lyons, Ill. When Robert La Salle surveyed the same place in 1680, he recognized its strategic importance as a way to connect the Great Lakes and the Mississippi River. The French built forts and trading posts in the region, increasing their competition with the British for land and resources, especially furs. This conflict culminated in the French and Indian War, which lasted in North America from 1754 to 1763. Various Indian tribes fought on both sides. France’s defeat forced it to cede Canada and all territories east of the Mississippi, including Illinois, to Great Britain. For the next decade, the British government tried unsuccessfully to prevent East Coast colonists from moving westward. In 1774, the British made Illinois part of Quebec, France’s former colony in Canada, which added to tensions in the Colonies. This erupted a year later as the American Revolution. While most of the fighting took place in the East, in 1778, George Rogers Clark, a militia officer from Virginia, brought the war to Illinois by capturing Kaskaskia, Cahokia, and Vincennes. Americans remained in Illinois country for the rest of the war, and by 1783, it was claimed by Virginia. The Northwest Ordinance of 1787, later replaced by the Ordinance of 1789, created the Northwest Territory (after which this publication is named). It was the first organized territory of the new United States of America, and included lands beyond the Appalachian Mountains between British North America and the Great Lakes to the north, the Ohio River to the south, and the upper Mississippi River to the west. More than 200,000 square miles, it covered the modern states of Ohio, Indiana, Illinois, Michigan and Wisconsin, as well as the northeastern part of Minnesota. At the time, it was inhabited by about 45,000 Indians and 4,000 traders, the latter mostly British and Canadians. “Britain had a much stronger claim to the Northwest Territory than we did,” says Davis, “but we got it. When we were negotiating our independence with Great Britain in 1783, we had a champion on the British side who believed in the message of the first major republic of the Modern Era. He helped us to acquire the whole territory. Passage of the Ordinance caused all unsettled lands to be ceded back to the Federal government and established the principle of public domain. It also mandated the future formation of at least three, and not more than five, states from the territory. Ohio became the first state to emerge in 1803, and the remaining area, including Illinois, was named Indiana Territory. Indiana would become a state in 1816, two years before Illinois. The language of the Northwest Ordinance prohibited slavery in the region, but recognized it already existed here. The first slaves were brought to Illinois by the French as early as 1720 to work in the lead mines near Galena and the salt mines in the southeast. Because the Illinois region was settled from south to north, most early settlers came from slave-holding states, although most of them did not own slaves. An indentured servant law allowed some slaveholders to bring slaves under that status, but they couldn’t be bought or sold. In 1809, Illinois was designated a territory, the first step toward statehood. 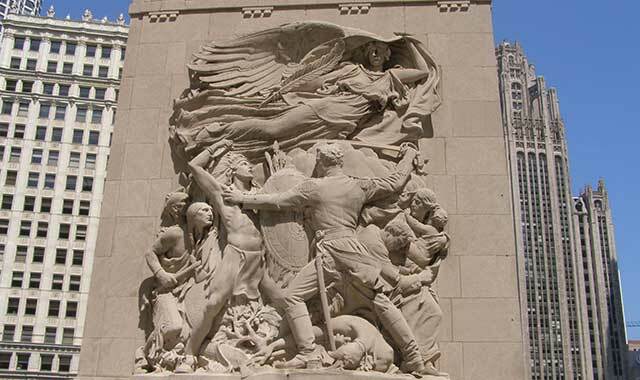 In, 1812 Potawatomi Indians destroy Fort Dearborn, killing 52 troops and civilians. From 1812 to 1814, Americans battled the British and their Indian allies for trade rights and territorial control in the War of 1812. That war included the massacre at Fort Dearborn near Chicago, Perry’s conquest of the British Fleet on Lake Erie, and the Indians’ defeat in Ontario, where Tecumseh was killed. Black Hawk, chief of the Sac tribe, fought on the British side, and was forever known as the leader of the British Band. In December of 1817, the territorial legislature approved a resolution for Illinois to become a free state, one that forbids slavery. A Constitutional Convention was held in August of 1818 to hammer out the details, and Kaskaskia was chosen as our first capitol. “Illinois entered the Union under a cloud of perceived necessity to balance free and slave states as they joined,” says Davis. “This was especially important to Southern states, since each state was allowed two senators, regardless of population. They demanded this ‘compromise’ as a way to protect their ‘way of life,’ which depended to a considerable degree on the institution of slavery. The Northwest Ordinance also stipulated that the northern boundaries of what became Ohio, Indiana and Illinois should be even with the southernmost tip of Lake Michigan. But when Ohio became a state in 1803, it pushed its boundary six miles north. Congressional delegate Nathaniel Pope was inspired by Ohio and Indiana to convince Congress to push the Illinois border 51 miles north of the lake’s southern terminus. This added more than 3 million acres – 8,000 square miles – to the state, which includes the 10 northernmost counties and parts of four more. It also included the Galena lead mines, the Rock River Valley, what became the city of Chicago, and the route ultimately chosen to build the Illinois & Michigan Canal, which opened in 1848 and connected the Illinois River to the Great Lakes. “Had Pope and others not launched this drive, Illinois would have been a radically different state, much more Southern in outlook than it was,” says Davis. In his book, “Rockford: Big Town, Little City,” Pat Cunningham suggests Illinois might have become a slave state as a result, and the Civil War might have transpired in different ways. Since these northern counties were mostly inhabited by people from New York and New England, their attitudes differed greatly from settlers in the southern part of the state. As a result, secessionism raised its ugly head in 1842, when several northern counties, including Winnebago County, passed non-binding referendums to leave Illinois and join Wisconsin. But when Wisconsin entered the Union in 1848, the boundary remained where it had been for the past 30 years. There was also a problem with residence requirements as stipulated in the Ordinance. It required territories to have at least 60,000 residents to become a state, but the number could be reduced under certain circumstances. Pope got the federal government to reduce the required number for Illinois to 40,000. Advocates for statehood convinced the government that territory officials could do the counting, not the feds. 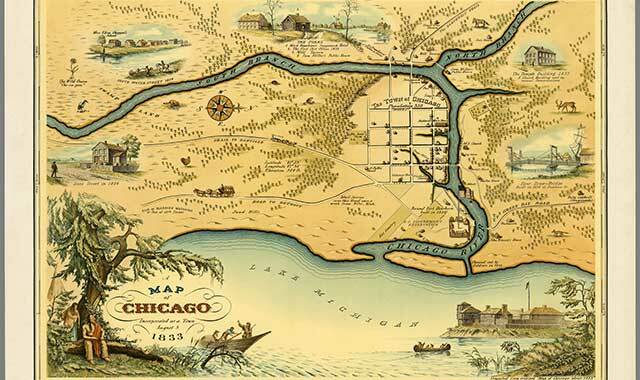 Chicago became an official town in 1837, and by 1848, the Illinois & Michigan Canal was completed. It ran 96 miles from the Bridgeport neighborhood of Chicago to the Illinois River at La Salle-Peru, connecting the Mississippi River to the Great Lakes – as La Salle, Pope and others had predicted. By opening up connections to Eastern markets, the canal made Midwest agriculture profitable, which in turn created the booming city of Chicago. Author’s note: James Davis will present “Inventing Statehood for Illinois” on Saturday, Sept. 1 at 4 p.m. at the 20th Prairieland Chautaqua, “Illinois: A Bicentennial Celebration,” at Jacksonville High School Auditorium, in Jacksonville, Ill. It’s part of a free, three-day event open to the public. To learn more, go to https://illinois200.com/events/prairieland-chautauqua-illinois-bicentennial-celebration/ or call (217) 245-2285. This entry was posted on Friday, August 17th, 2018 at 11:57 am	and is filed under Features, Top Posts. You can follow any responses to this entry through the RSS 2.0 feed. Both comments and pings are currently closed.